The IUPAC task group: Coordination polymers and metal organic frameworks: terminology and nomenclature guidelines have published provisional recommendations. The article can be accessed directly here and any comments can be directed to the task group chair, Professor Lars Öhrström. 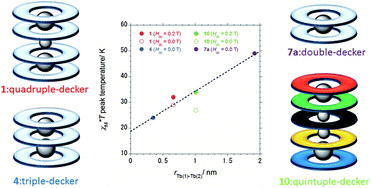 With TONs up to 9000 H2/Co this Hot Communication by Peter Hamm and Roger Alberto et al. is worth a read. 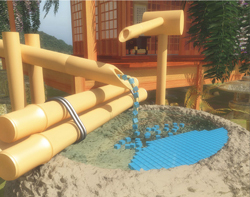 The team have developed a stable, water reducing catalyst which operates under acidic conditions and indicates poly-pyridyl ligand frameworks are superior to some of the other commonly used chelators. They also show the cobalt complex retains catalytic activity when resin bound, meaning it is active as both a homogeneous and heterogeneous catalyst. For full details download the article below. 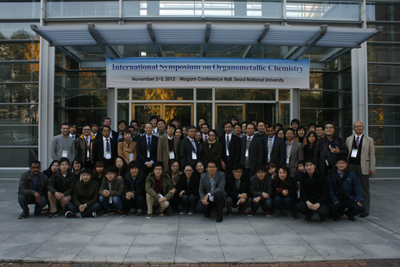 The seventh International Symposium on Organometallic Chemistry (ISOMC 2012) was held at Seoul National University in Korea between 1st and 3rd November, attended by Dalton Transactions Editorial Board Chairman, Professor Philip Mountford and New Journal of Chemistry associate editor Professor Peter Junk. Eighteen stimulating lectures were given by a range of established and emerging scientists from academia and industry, representing seven different countries. The poster prize was sponsored by Dalton Transactions and was awarded to Keishi Yamamoto from Professor Kazushi Mashima’s laboratory at Osaka University, Japan. The title of the poster was “Synthesis and structures of iminopyrrolyl and amidopyrrolyl complexes of Group 2 metals”. 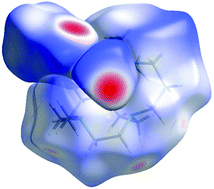 This Hot Article from Masahiro Yamashita and Keiichi Katoh investigates the interactions among the 4f electrons of some multiple-decker Tb3+ and Dy3+ complexes, revealing the importance of molecular symmetry and coordination geometry. Single molecule magnets (SMMs) exhibit superparamagnetism at the molecular scale and have potential application in quantum computing, information storage and magnetic refrigeration. Understanding the relationship between the local environment of complexes and their magnetic properties is important to develop new SMMs with desirable magnetic relaxation behaviours. Perhaps the most well-known applications of organometallics in catalysis are the Ziegler–Natta catalysts which are used to generate polymers, the catalysts are made up of mixtures of transition metal halides and organo-aluminium complexes. Karl Ziegler and Giulio Natta were awarded the 1963 Nobel Prize in Chemistry for their discovery and development of the catalysts, which today are the most commonly used for the manufacture of polythene. The esteemed history of organometallics are not to be under-estimated and include Grignard’s reagents, the Heck reaction, Schrock catalysts, Grubbs’ catalysts and the Suzuki Coupling to name just a few. Organometallic compounds have revolutionised science and industry and to keep you up to date with the latest break-through research being made across all areas of organometallics in catalysis, we have made this cross-journal article collection free until the 26th September. The 62nd Fujihara Seminar titled “Frontier and Perspectives in Molecule-Based Quantum Magnets” was held this spring in Sendai, Japan. The Seminar was organized and hosted by Professor Masahiro Yamashita from Tohoku University with the financial support from the Fujihara Foundation of Science. The Fujihara Foundation of Science was founded in 1959 by Mr. Ginjiro Fujihara, the former president of Oji Paper Co. Ltd. who revolutionized the paper industry in Japan and has been recognized as “King of Paper-making”. 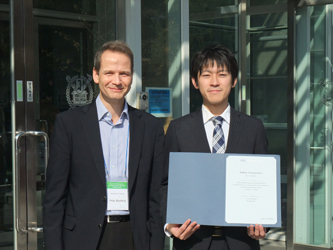 The main goal of the Fujihara Foundation of Science is to encourage cutting-edge research, leading to significant scientific and technological progress in Japan. The Fujihara Seminars are usually held at Tomakomai in Hokkaido, where the headquarters of Oji Paper Company is located. This year, however, the Council of the Foundation agreed to make an exception and decided to hold the 62nd Fujihara Seminar in Sendai – the heart of Tohoku area, which was struck last year by the destructive earthquake, followed by a devastating tsunami and the Fukushima nuclear power plant disaster – to support its recovery. The Fujihara Foundation of Science covered all expenses of the Seminar including travel fees, accommodation and organization expenses. 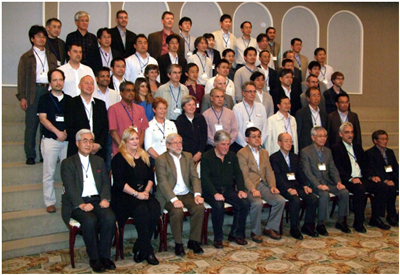 Thirty leading scientists in the field of molecular quantum magnetism from all over the world accepted the invitation and participated in this fascinating scientific event (Photo 1). The Scientific program featured 29 lectures covering all recent aspects in the development of molecular quantum magnets, introduction of multifunctionality into these systems, and the yet unexplored blank spots on the map of quantum magnetism. The atmosphere of the seminar allowed for many fruitful discussions and for significant strengthening of the molecular magnetism community. The scientific level of the talks was very high, most of the presented results were very recent, sometimes not yet published and stimulated vigorous discussions about the future possible developments and directions in quantum magnetism. The talks given at the 62nd Fujihara Seminar are subject of the special issue of Dalton Transactions titled “Frontiers and Perspectives in Molecule-Based Quantum Magnets”, due to be published later this year. Professor Masahiro Yamashita (Tohoku University, Japan) opened the seminar with a lecture on the history of Single-Molecule (SMM) and Single-Chain (SCM) Magnets. Despite the fact that most of the participants were already familiar with the development of the concept, such introduction based on the “milestones” of quantum magnetism offered a valuable insight into the past, present, and future directions of the field. One future direction was introduced in the second talk given by Professor George Christou (University of Florida, USA). Prof. Christou noted that, for future applications of molecular quantum magnets in spin-based quantum computation and spintronic devices, coupling of two or more SMMs to each other is essential. Such coupling must be very weak in order to maintain the intrinsic quantum properties of each individual SMM, but strong enough to allow them to “feel each other”. Professor Christou presented several examples of SMM aggregates coupled with specially designed organic ligands. Some of them display an exchange-bias of the quantum tunneling of magnetization steps in the hysteresis loops, which is a hallmark of weak interactions between SMM units. In the subsequent talk, Professor Michel Verdaguer (Université Pierre et Marie Curie, France) discussed early results in the field of SCMs and the usefulness of X-Ray Magnetic Circular Dichroism (XMCD) in the characterization of magnetic molecules (especially those deposited on various surfaces). He also presented research on the salicyamidoxime-based Mn6 SMMs and summarized the successes and failures of the cyanide chemistry of transition metals in the field of high-spin molecules and SMMs. Professor Dante Gatteschi, one of the founding fathers of molecular magnetism (Univeristà degli Studi di Firenze, Italy) gave the last talk of the first day. Professor Gatteschi summarized the last 30 years of research in the field of nanomagnetism by focusing on the comparison of molecular nanomagnets MNMs with magnetic nanoparticles MNPs. He pointed out that there are still blank spots on the map of MNMs and strongly encouraged the exploration of the no man’s land of magnetic molecules comprising 100–1000 paramagnetic ions. In addition, he reminded the participants that there is “plenty of room” in between the MNMs and MNPs regimes. Synthesis and investigation of 100–1000 ion clusters might be challenging, but the emergence of new fascinating physical phenomena is expected (Photo 2). The second day of the Seminar was also filled with extremely stimulating talks and discussions. The lecture of Professor Song Gao (Peking University, China) reflected the strong current trend in molecular quantum magnetism to re-discover the importance of rare-earth elements in the design of SMMs with enhanced characteristics. Professor Gao pointed out that, thanks to the large spin-orbit coupling effect, several mononuclear lanthanide or actinide complexes have been found to be single ion magnets. 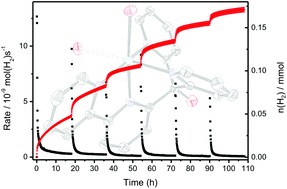 Lanthanide-based SMMs seem to be the most promising from an application point of view. Especially the double decker complex TbPc2 (Pc = phthalocyanine) with high single-ion anisotropy and a very high blocking temperature is particularly appealing for the construction of supramolecular spintronic devices, according to Professors Mario Ruben (Université de Strasbourg, France and Karlsruhe Institute of Technology, Germany) and Masahiro Yamashita (Tohoku University, Japan), who gave the last two talks. 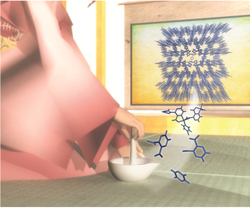 Professor Ruben demonstrated the potential of TbPc2 in the construction of spin-valves, and Professor Yamashita showed, for the first time, that TbPc2 could act as single-molecule memory device. 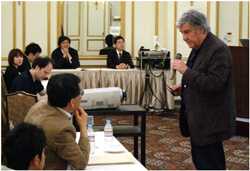 The third and last day of the conference was designated as an informal discussion day. The participants could freely interact during an excursion to Hiraizumi (a World Heritage site) – temples, gardens and archeological sites representing the Buddhist Pure Land – and during a river cruise (Photo 3). The 62nd Fujihara Seminar ended with a banquet at Shozankan. This final event began with a traditional ceremony of kagami biraki – opening of wooden casks of iwai-zake (“celebration sake”) (Photo 4). 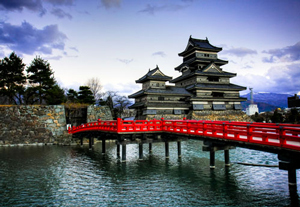 During the Banquet the host, Professor Masahiro Yamashita, asked all the participants to visit Sendai again in three years during the next conference on Molecular Quantum Magnets to “report” their advances in this particular field. He suggested that the next meeting would be a great opportunity to verify how fruitful the discussions and new ideas spawned during the 62nd Fujihara Seminar have been. Photo 4. 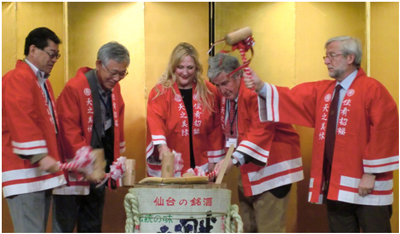 Ceremony of kagami biraki – opening of wooden casks of iwai-zake (“celebration sake”) – during the Seminar Banquet. In summary, the 62nd Fujihara Seminar “Frontier and Perspectives in Molecule-Based Quantum Magnets” was a great opportunity for the top molecular magnetism scientists to interact and discuss how to further advance the field. Look out for the upcoming themd issue later this year. The Congresso del Gruppo Interdivisionale di Chimica Organometallica della Societa’ Chimica Italiana (Co.G.I.C.O) recently held their 10th meeting in the beautiful city of Padua, in the North of Italy. Founded in 1991, the group meets every 2 years to discuss recent developments in the field of organometallic chemistry. 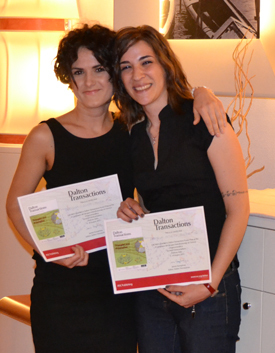 Poster sessions were also held during the meeting and we are delighted to announce that the winners of the two Dalton Transactions Poster Prize’s were Daniela Intrieri of Università degli Studi di Milano, and Blerina Gjoka of Università degli studi di Padova. Daniela’s poster was on the topic of ‘Ru(TPP)CO-Catalysed 2-Azido Biaryls Annulation to Afford Phenanthridine and Dihydrophenanthridine Derivatives’, and Blerina’s on ‘Iron(III) Amino Triphenolate Complexes as Catalysts for CO2 Fixation’. 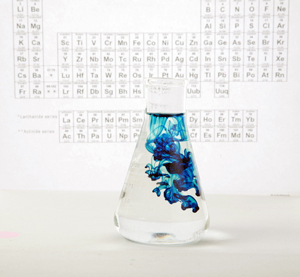 The exciting chemistry of metal-organic frameworks (MOF’s) attracts interest from a range of communities within the chemical sciences. Recently the Journal of Materials Chemistry published a themed issue ‘Integrating functionality into metal–organic frameworks’ and Dalton Transactions ‘Coordination chemistry in the solid state’. You can see the full issues by clicking on the links above, alternatively you can browse the highlights below, which are free to download until the 27th July.